Thus far, the illustrations of job costing have focused on methods to accumulate job cost information. In a sophisticated electronic environment, that information can be seamlessly transferred to a company’s general ledger system. In the alternative, one may still need to transcribe the cost flow information via a series of entries. Either way, it is imperative to not only understand how job cost data are measured, but also how they impact a company’s general ledger and financial statements. For purposes of this illustration, assume the raw material in the first picture cost $10,000. This expenditure must be captured in inventory and eventually transferred to cost of goods sold when the product is delivered to an end customer. 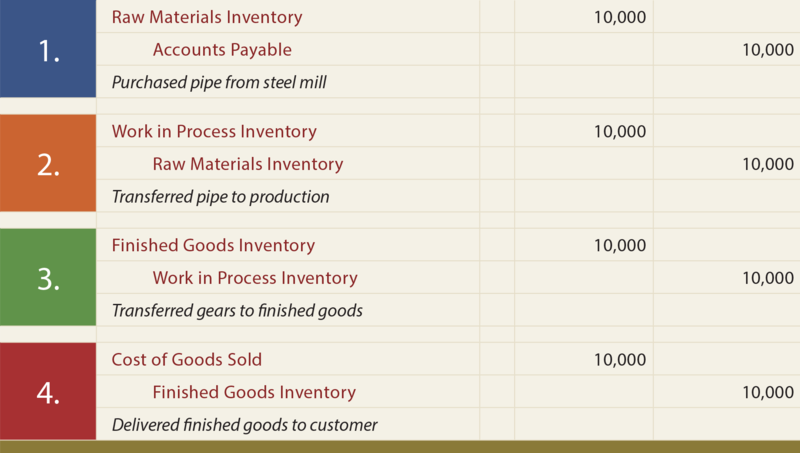 At the time it is acquired, the Raw Materials Inventory needs to be increased by $10,000, as shown in the following T-account. The second step will result in a reduction in the Raw Materials Inventory and a corresponding increase in the Work in Process Inventory. Upon completion, that cost is transferred from Work in Process Inventory to Finished Goods Inventory. When the product is sold, the cost moves out of Finished Goods Inventory. At this point, only the cost flow of direct materials is illustrated; direct labor and overhead costs will be shown later. Carefully review the above set of entries, and focus on the fact that $10,000 of cost was incurred when the raw material was purchased in Step 1. And, that cost eventually became a cost of goods sold at the end of the process when the goods were delivered to the customer in Step 4 (remember, only the direct material is being shown here; labor and overhead costs are yet to be considered). Concurrent with recording the fourth entry, another entry would be made to record the sale (debit Accounts Receivable and credit Sales). The difference between Sales and Cost of Sales would be the gross profit. These entries assume a perpetual inventory system; the same result could be achieved with a periodic system like that illustrated earlier in the book. Notice that the accounts used in these entries are identical to those for direct material, except that the credit in the first entry is to Salaries Payable. This reflects that the cost is attributable to an obligation to pay employees for their time. Notice that an account entitled “Factory Overhead” was uniquely credited in the first of these entries. This account can be confusing. For the moment, accept this truncated explanation: The credit to Factory Overhead is the allocation tool used to pass along the actual overhead costs to jobs in progress. The actual overhead costs are captured via debits to this account through a separate process described later. 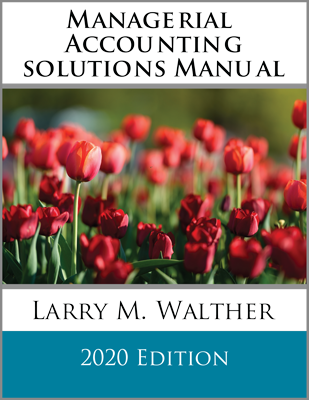 Recall that a company’s general ledger will reveal the total accounts receivable, total accounts payable, total equipment, etc. But, there is also a need to know subsidiary details about each of these accounts. 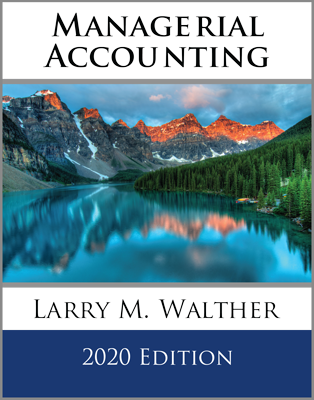 In other words, one must be able to identify the specific customers who owe money, how much is due to each vendor, how much depreciation to record for each asset, and so forth. The same is true for the Work in Process account. While it is imperative to know the total dollar value of all jobs, a company must also be able to pinpoint the amount attributable to each job. This is accomplished via an account numbering scheme where each job is given a unique number. This enables ease of data mining. 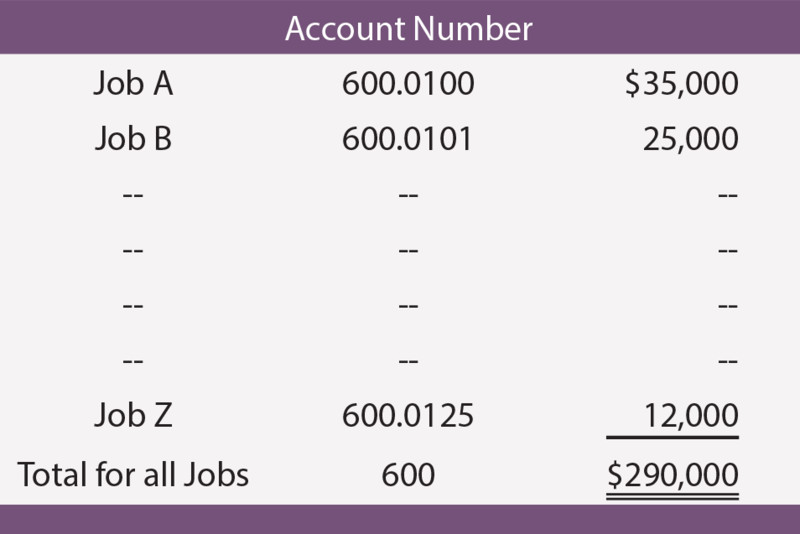 The chart of accounts typically includes a number where the leading digits indicate the control account, and the trailing digits indicate the subsidiary account. For work in process, this numbering could be as illustrated at right. 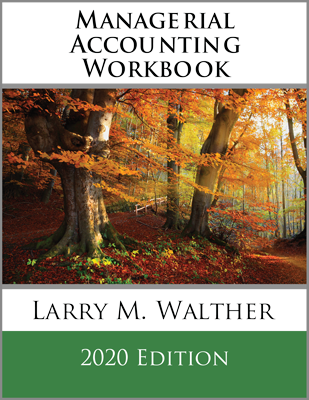 While the exact mechanics of maintaining subsidiary account balance information can vary, what is important is that one could inspect the general ledger and financial statements, and find $290,000 in work in process. The subsidiary account information should be sufficient to allow one to find that Job A represents $35,000 of the total, Job B represents $25,000, and so forth. 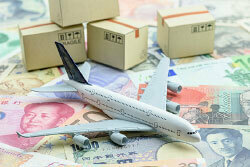 Companies engaged in international commerce often establish separate operating units around the globe. For instance, a company may establish a manufacturing facility in a country with lower wages, taxes, and costs of production. This trend has introduced a myriad of complex costing issues, which generally fall under the heading of transfer pricing. Transfer pricing issues are not limited to global companies. Issues can arise when products are shipped between affiliated companies in different states or provinces. Also, affiliated companies may have divisional profit incentives, causing managers working for the same corporate parent to debate the costs assigned to their respective units. Such consolidated enterprises often have established rules about pricing of intercompany transactions. Be able to prepare journal entries to record direct and indirect materials and labor. Prepare typical entries related to the completion and sale of a manufactured product. 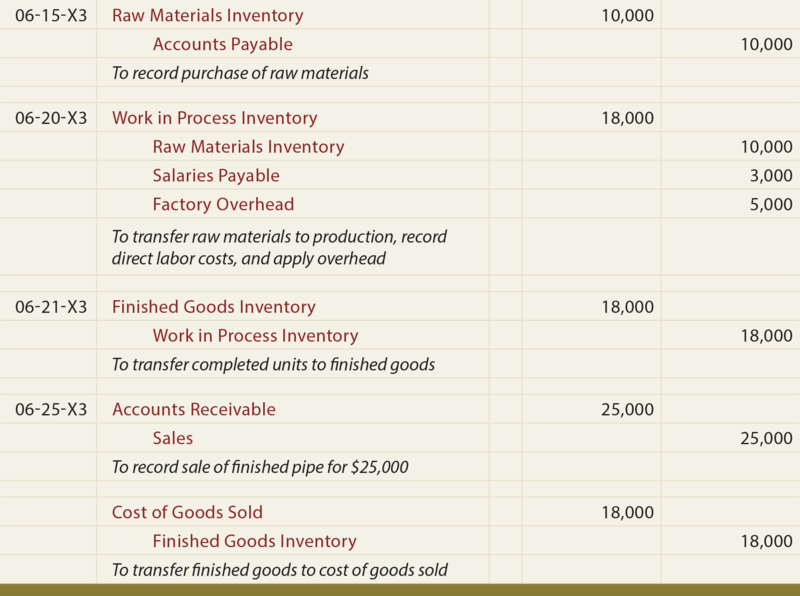 Understand cost flows throughout the various inventory accounts. Explain why Work in Process is actually a control account. Be familiar with transfer pricing issues.